9. Glamorous Life, The - Sheila E.
Audio Remasterers: Dan Hersch; Bill Inglot. Liner Note Author: Brian Chin . 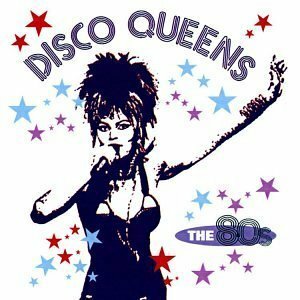 The '80s version of the Disco Queens series predictably includes a bunch of offshoots of disco itself: house, electronic, club. In the end, it all amounts to dance music, and, with this set, dance music that also happened to score big on the pop charts: Kim Wilde's "You Keep Me Hangin' On," Jody Watley's "Looking for a New Love," Pebbles' "Mercedes Boy." Best, though, are the more subtle forays into disco: "Straight Up" (Paula Abdul), "The Glamorous Life" (Sheila E.), and "Let's Hear It for the Boys" (Deniece Williams).